Whether you are looking for a painting in your living room or for your office, or for resale, you have found the right address.Amoy Art Distribution is consisted by a team of well-experienced artists who will serve you at our best. Our mission is---to refresh your space and wake up your life! We are always at your service! Custom Portrait Oil Paintings based on photos or digital images. All the Oil Painting Reproductions of Famous Artwork & Wholesale Oil Paintings & Custom Portrait Oil Paintings are directly from our artists. More than 100 talent artists can meet your needs, there's no limit to what can be created on a blank canvas for our artists. You can email us your photo or digital images with your detail requests,we will quote your the price within 48 working hours. We can make changes to your images--delete or add someone into the image, insert your face into a famous painting, repaint you in a particular style, or change the background of the image, etc. Because we have the finest artists, we can provide the custom portrait oil paintings with high quality at a reasonable price. 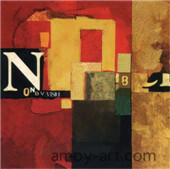 Our art gallery consists of a large quantity of pictures. You will probably find your favorite oil paintings among them from our catalogue--tell us the painting code that you like, we will quote for you within 48 working hours. If not find, you still can order oil paintings from us. Just email us your clear pictures with the necessary information. We can paint from your photos. Once the painting is finished, the photo of the oil painting with high resolution will be send to you for your confirmation. We are always here to revise the painting if you have any opinions. The delivery only could be done when we receive your approval. 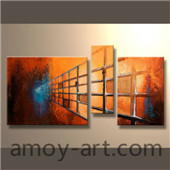 Any other questions, please don't hesitate to contact with us at:sales@amoy-art.com, thanks!